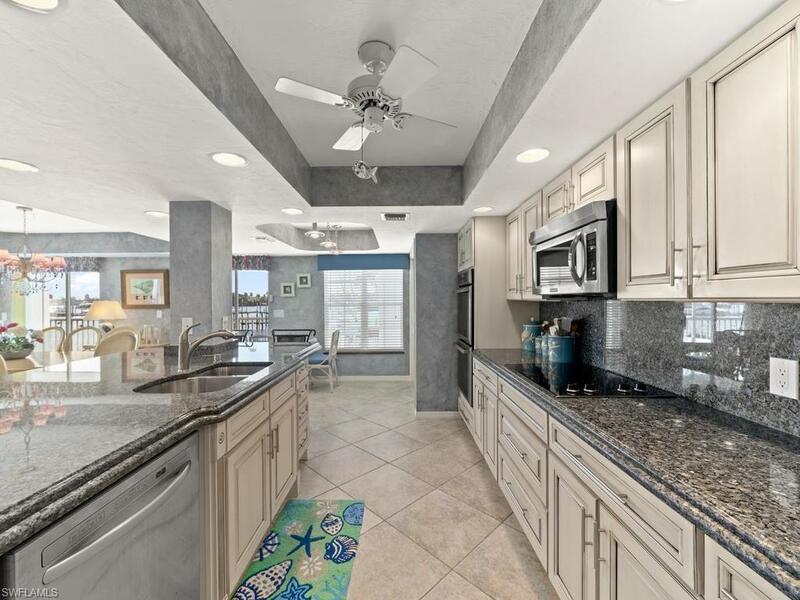 One of a kind describes this magnificent, large Olde Naples 2 bedroom/2 bath with den condominium making for the perfect private retreat in Olde Naples on Naples Bay, the first unit to sell in Pier 8 (only 6 condominiums) in almost 20 years. Sold turnkey furnished, the den can easily be converted to make a large 3rd bedroom. Remastered several years ago, the condominium boasts a large open kitchen with hi-level granite countertop, beautiful tile flooring, wonderful wraparound lanai with great space to dine with gorgeous Naples Bay views, a garage with secured large storage area, as well as your own deeded private boat dock capable of housing up to a 30' boat. 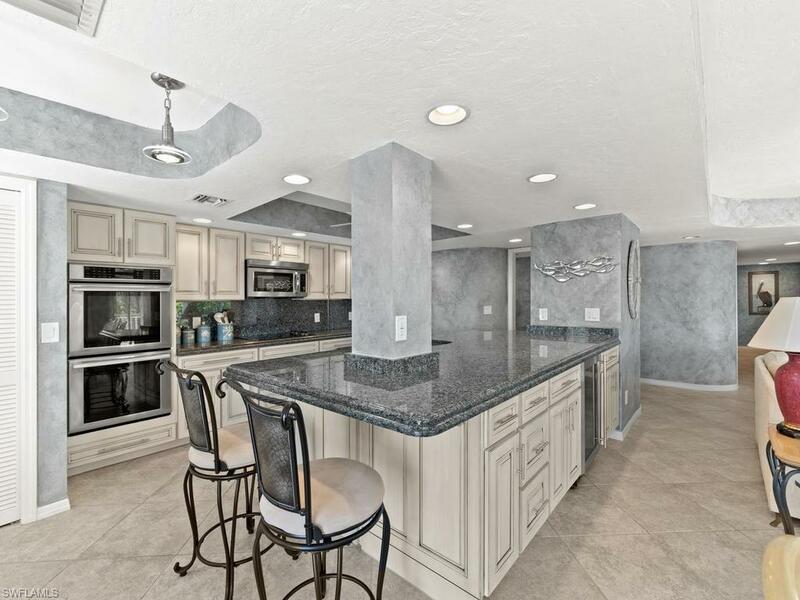 The kitchen features a huge granite countertop with soft close cabinets, as well as in home full laundry facilities. The appliances are newer and have been minimally used. 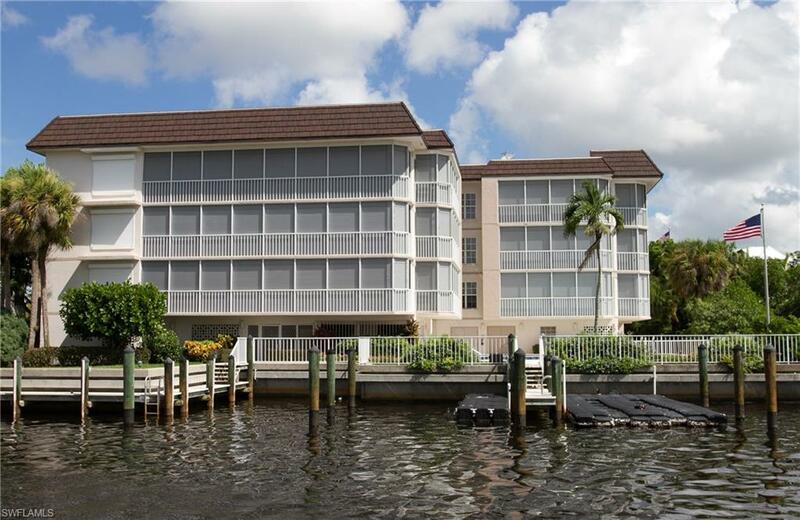 The condo is fully hurricane protected with brand new electric hurricane shutters, as well as impact glass windows. There is a large pool and clubhouse area where you can entertain your guests and is shared by only five other condominiums in the complex. 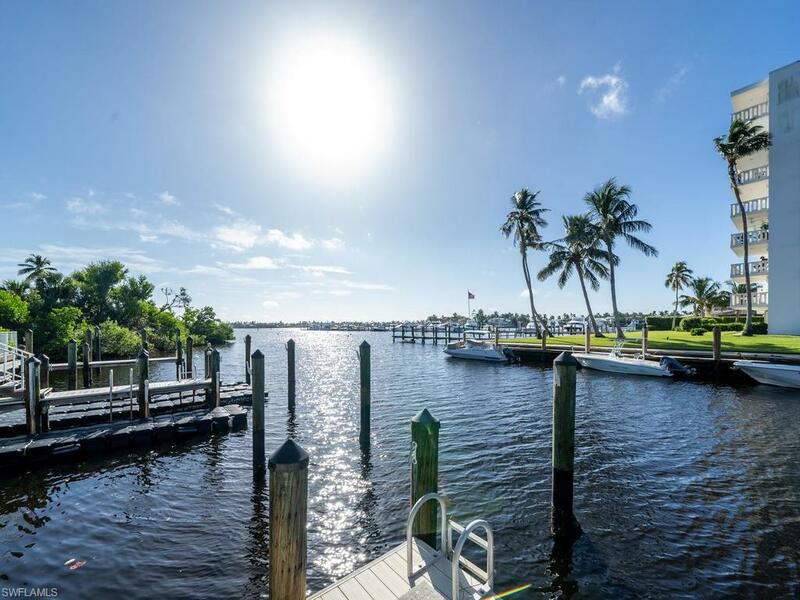 Near the Naples City Dock, you are surrounded by world-class restaurants, art galleries and shopping. Listing courtesy of Preview Naples Intl, Llc.